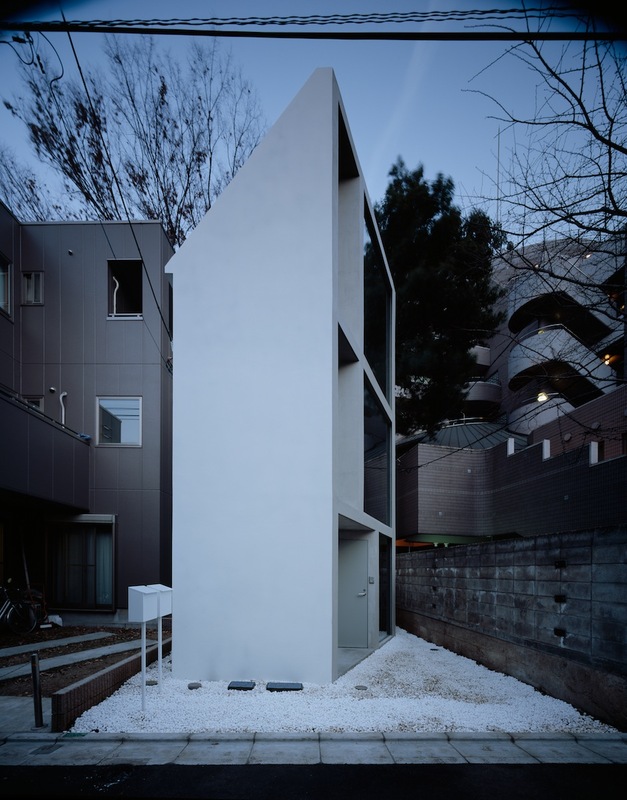 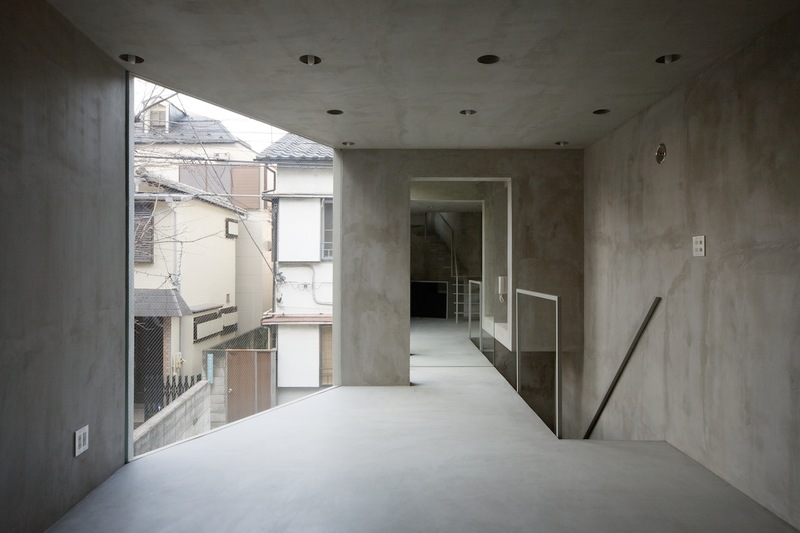 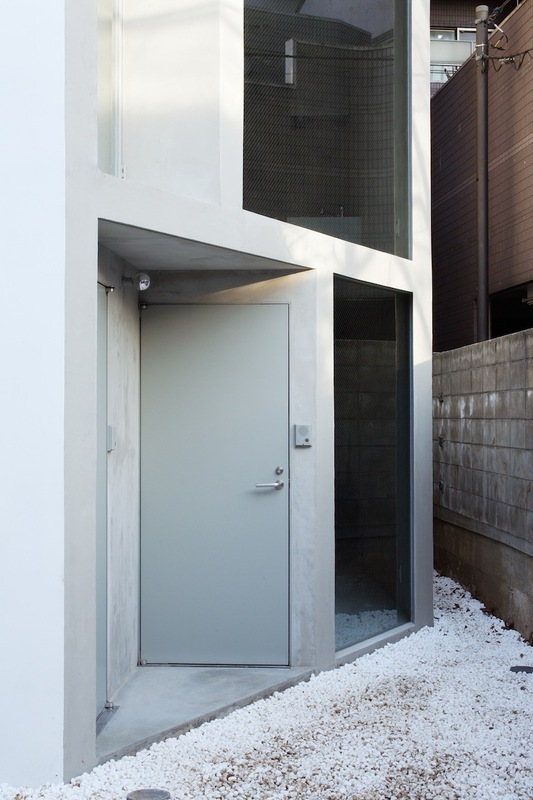 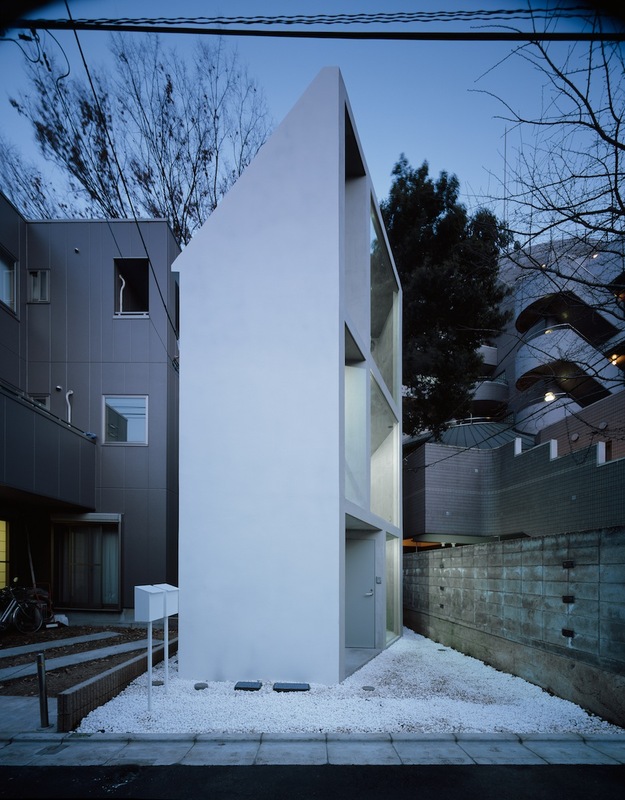 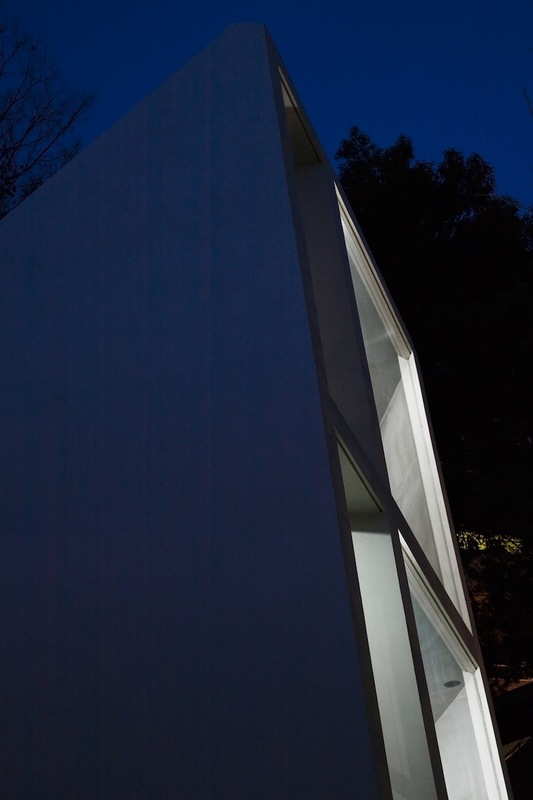 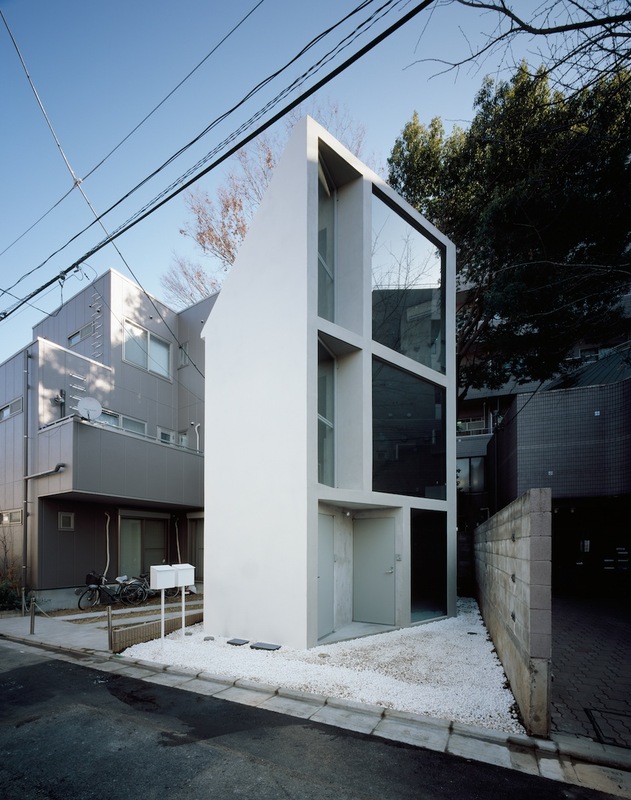 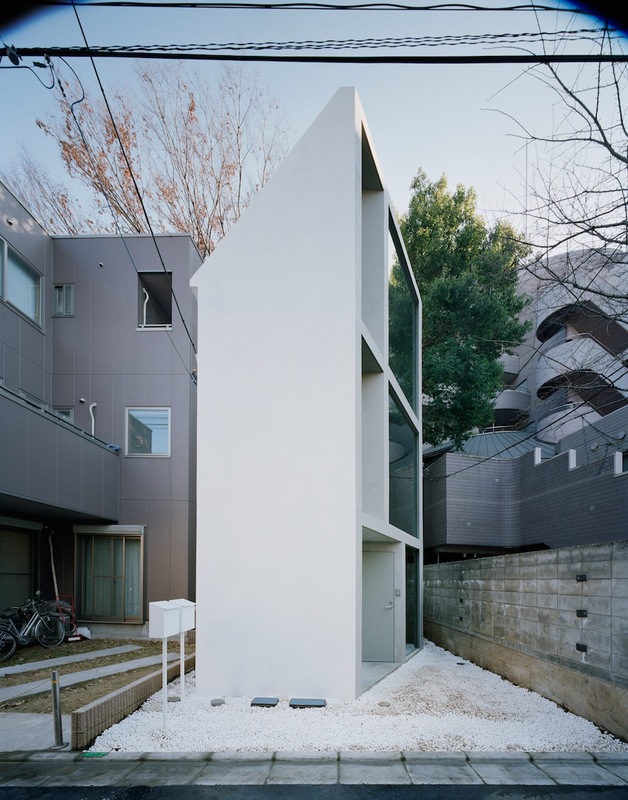 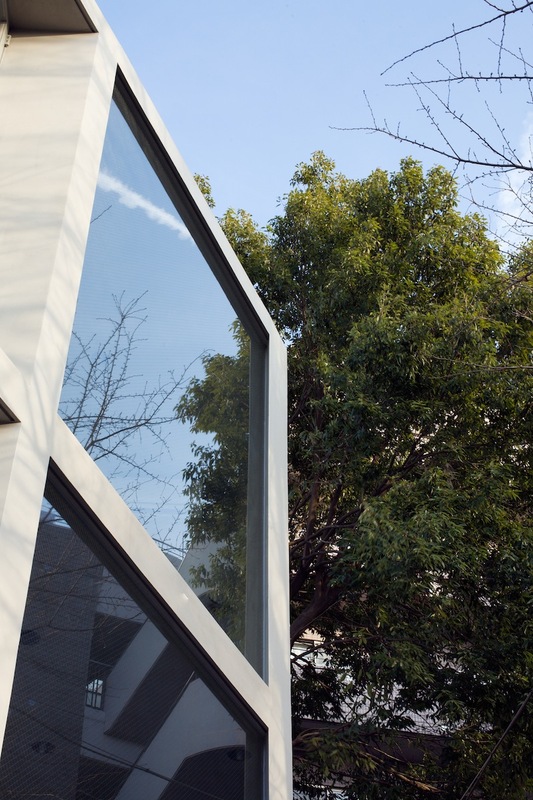 63.02°, built in a densely residential area in Nakano, Tokyo, is a small building of a SOHO and an apartment for rent. 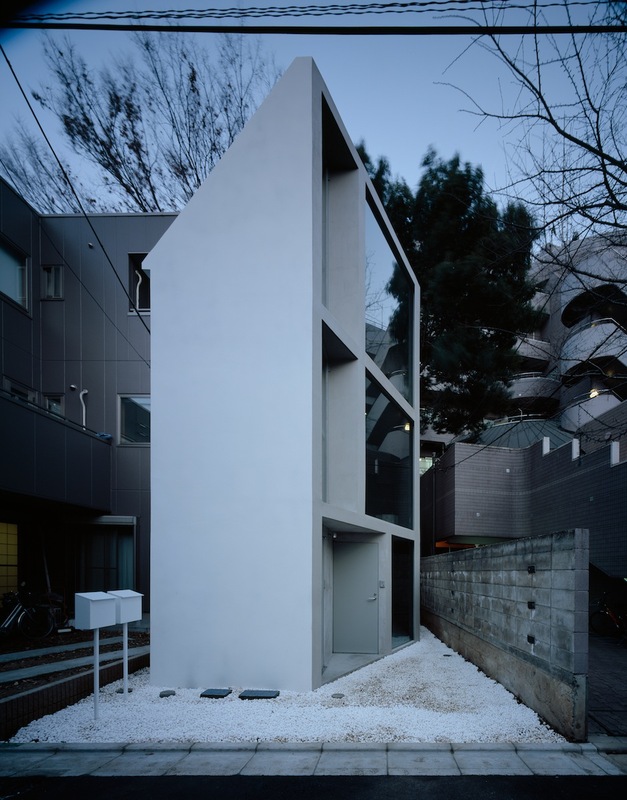 The front road is really narrow, but the next apartment has a big open space between the road and the building. 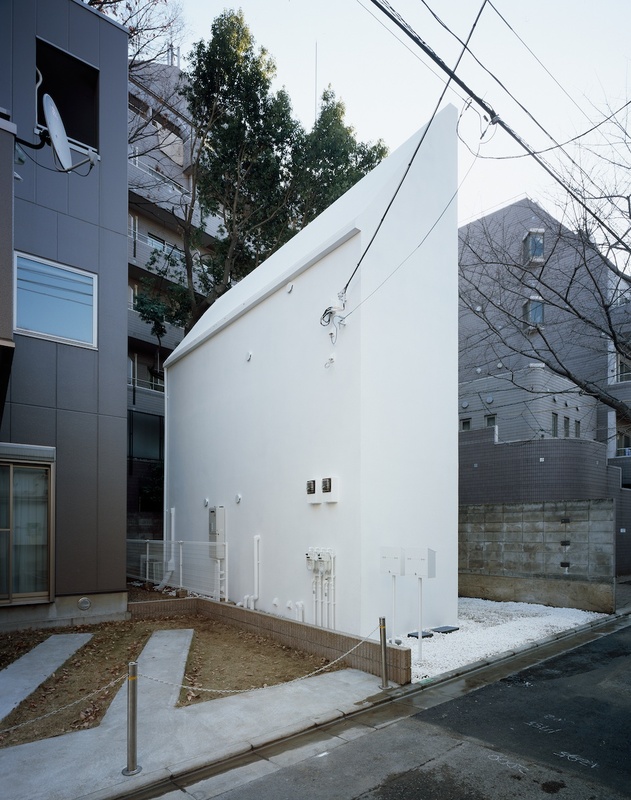 In order to this situation, the facade of 63.02° is inclined 63.02 degrees toward the front road, so that a wide and deep view is acquired. 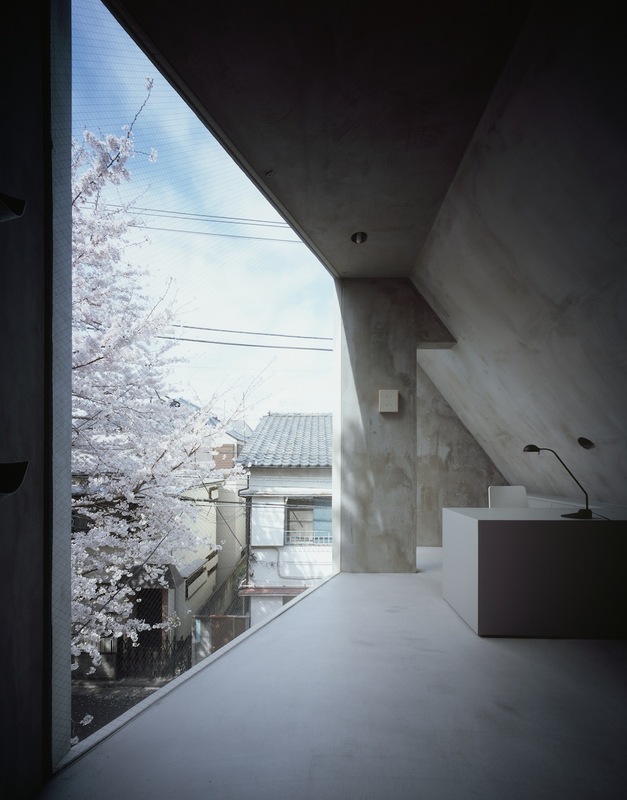 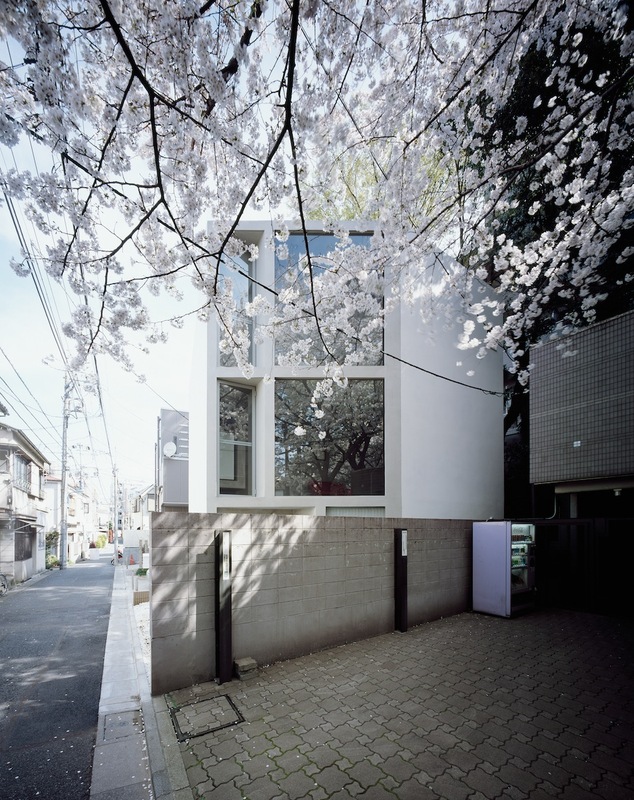 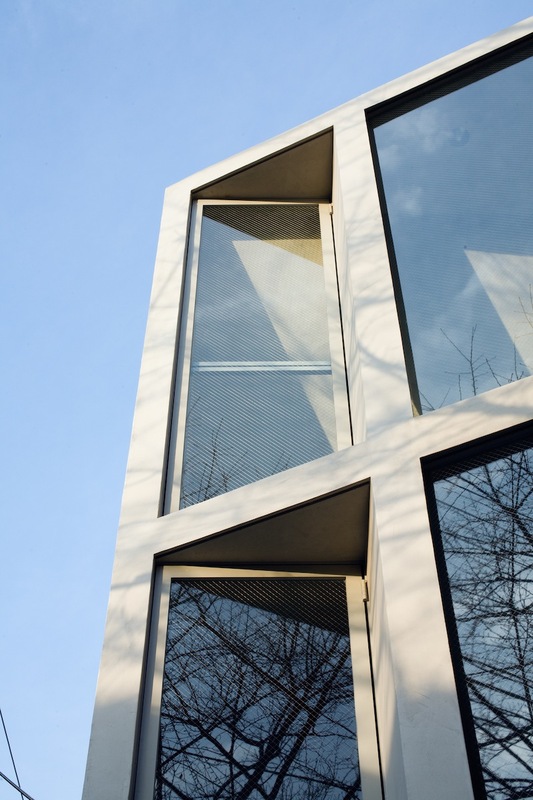 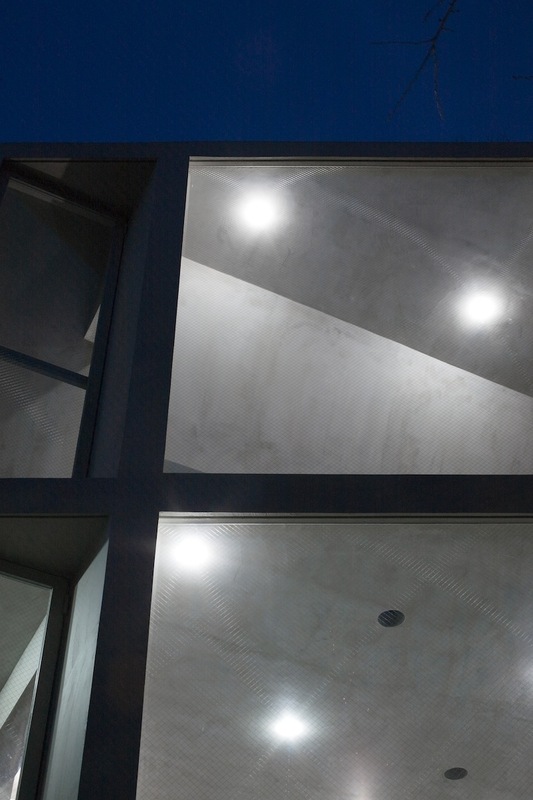 From the large windows that are opened on the inclined facade, you can see neighbor’s cherry tree and the cityscape.